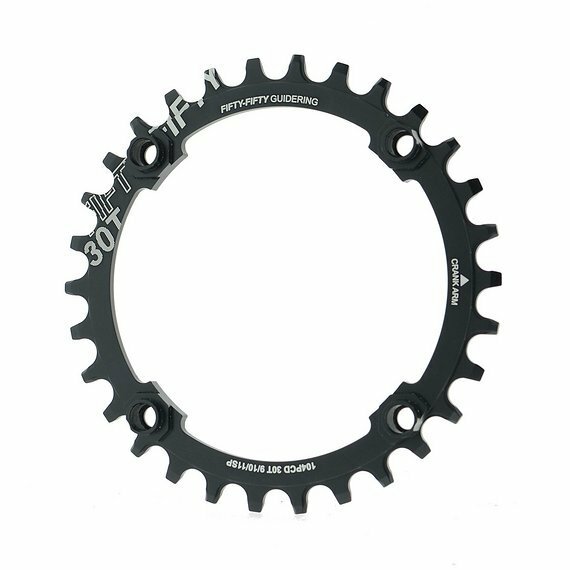 Narrow Wide chainrings for 104PCD 9/10/11 speed cranks. -With 2mm shims included with 32T,34T,36T and 38T rings to compatible with 2x and 3x crankset. -30T rings have integrated shims and chainring bolt threads to allow the smallest ring size possible on a 104 PCD crank.